It was a delight to be loaned this book for the Christmas holidays. 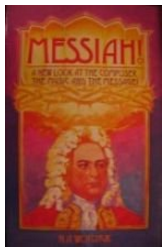 I had never read the biography of this great composer who blessed us with The Messiah. This was a story as well of how that composition came into being, uniquely following only biblical wording. Worthwhile!